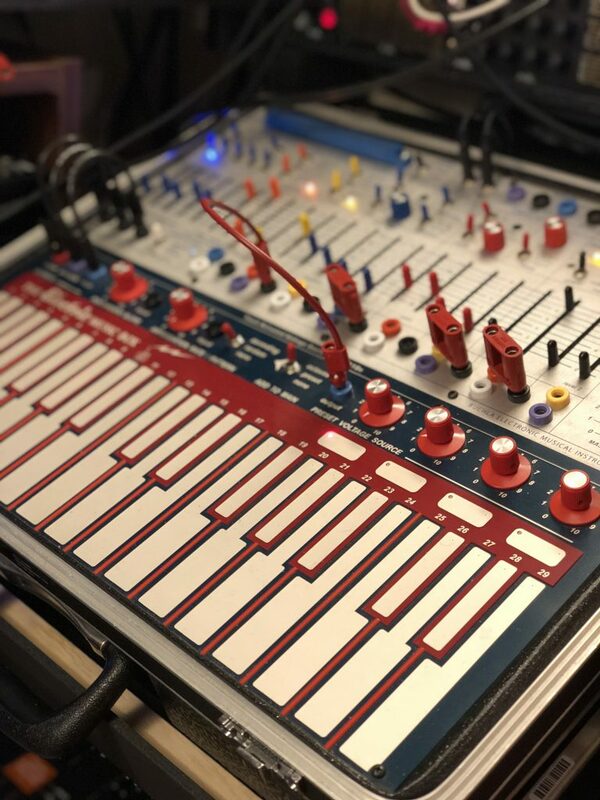 I mentioned earlier on in this experiment that I’ve been guilty of ignoring the keyboard of the Buchla Music Easel primarily because I’m just not a keyboard player at all and don’t know what to do with it. I can change and Octave here or there but when it comes to playing notes that actually sound good next to each other I’m way out of my league there. Tonight I sort of stumbled into having a really long portamento (which is sort of sliding from one note into the other rather than popping) running through a lot of reverb (Strymon Blue Sky) and I ended up playing notes for a while because it was just sounding so ethereal and spooky in all the right ways. I didn’t have enough time to come up with anything that I could repeat, but I spent some time exploring it and my mind is racing at the possibilities. It was almost theremin like at parts, which was kind of exciting and haunting all at once. This month so far has really helped me get to know this instrument so much better, but at the same time (as the best things always do) it’s shown me how very little I know about it and how much deeper I can go. January Buchla Project: Day 12 – Limitations.